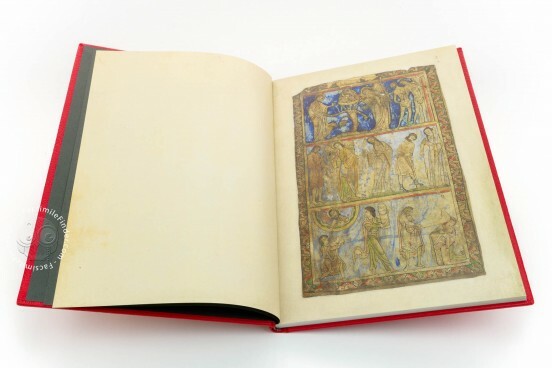 A masterpiece of Romanesque illumination, the Winchester Psalter is a precious manuscript that belonged to Sir Robert Cotton (1570–1631) and it is now incorporated into the collection of the British Library. 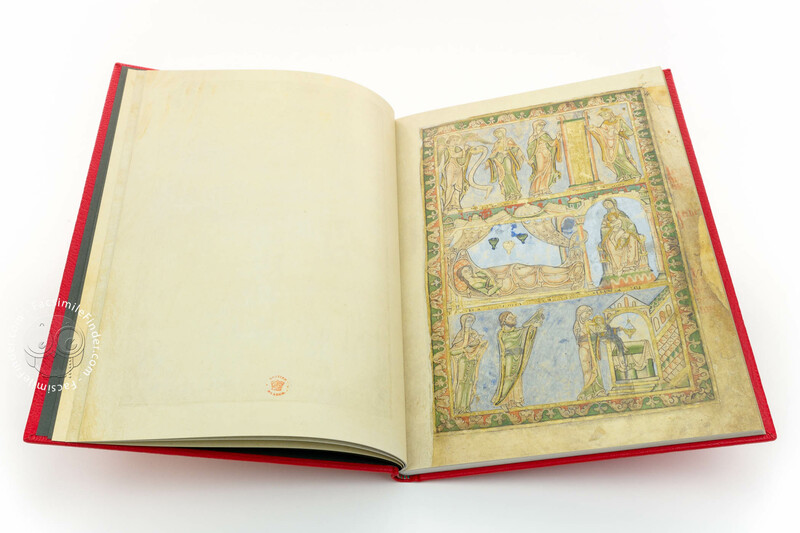 Made in the twelfth century, the codex consists of an extensive cycle of 38 full-page illuminations depicting events described in the Old Testament, scenes of the life of Christ, the Last Judgement and the Second Coming. 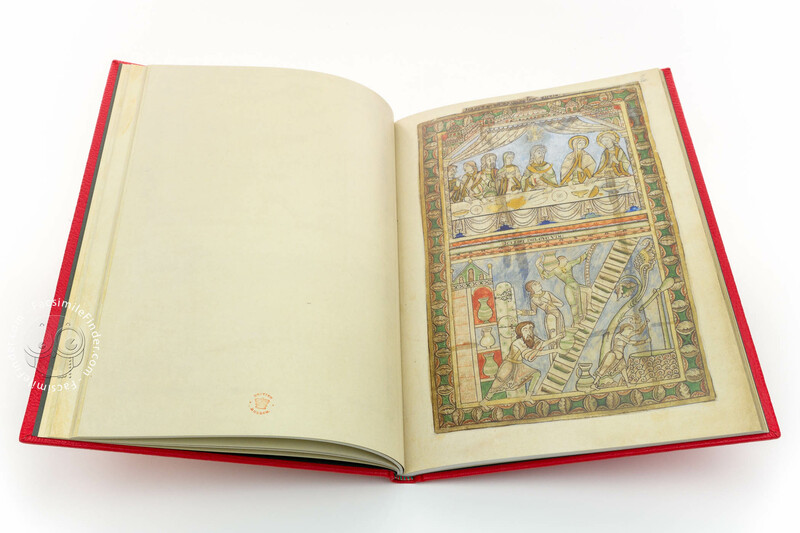 The cycle of illuminations opens the book and works as a visual introduction to the text of the Psalms. 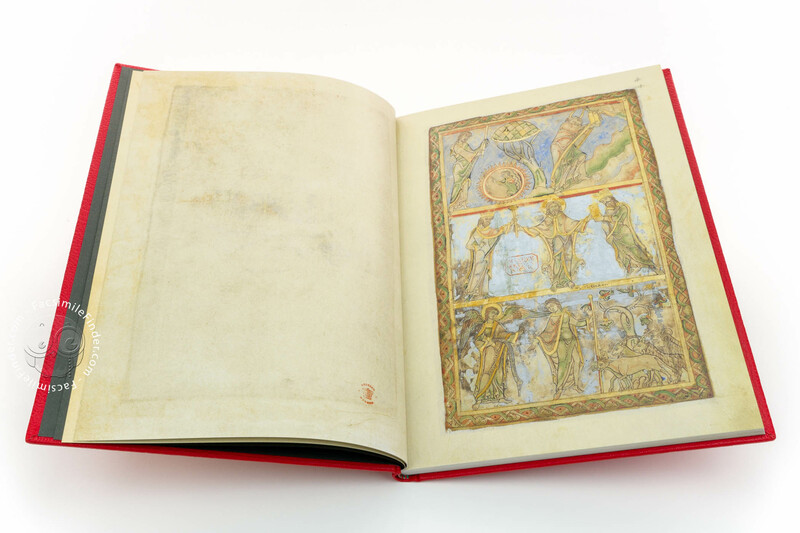 The identity of the original owner of the codex is not known. 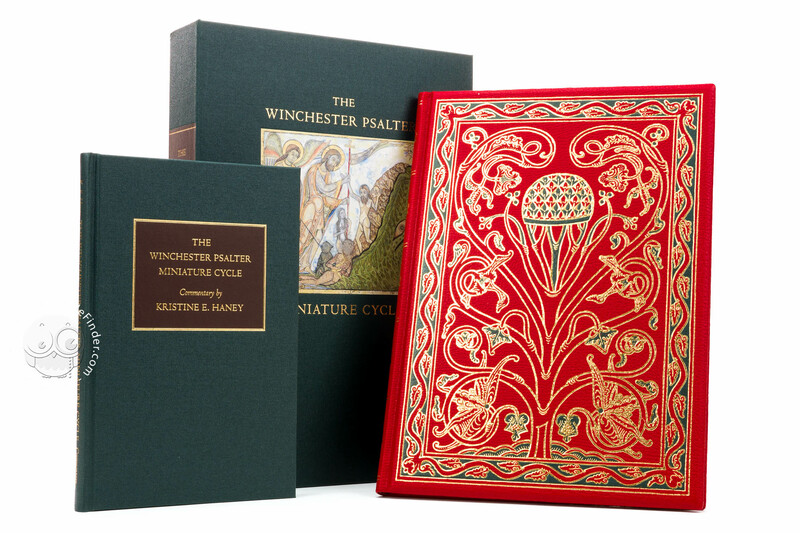 However, the calendar, the litany and the prayer to St. Swithun, bishop of Winchester – whose remains are mentioned in the manuscript – suggest that the book was made in connection with Winchester Cathedral. The feasts listed in the calendar also point to the Cluny Abbey in France. 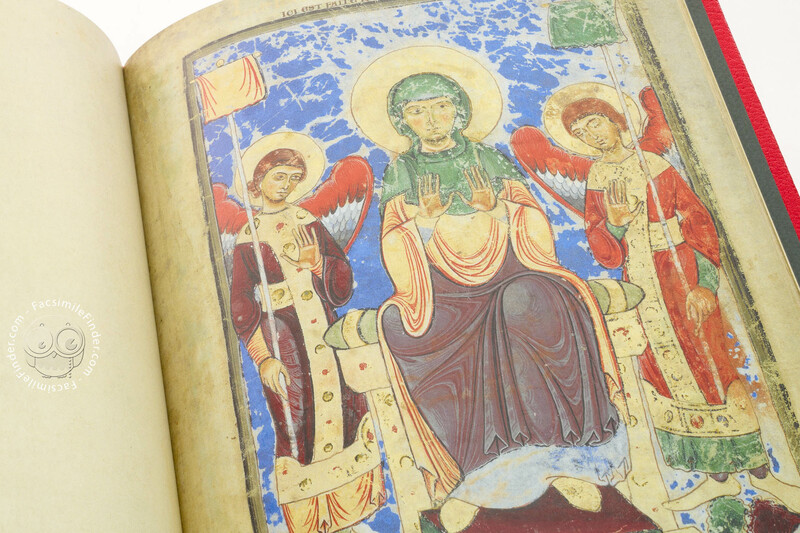 The unity of the saints of Winchester and Cluny is evidence of a patron who had relationship with both institutions. 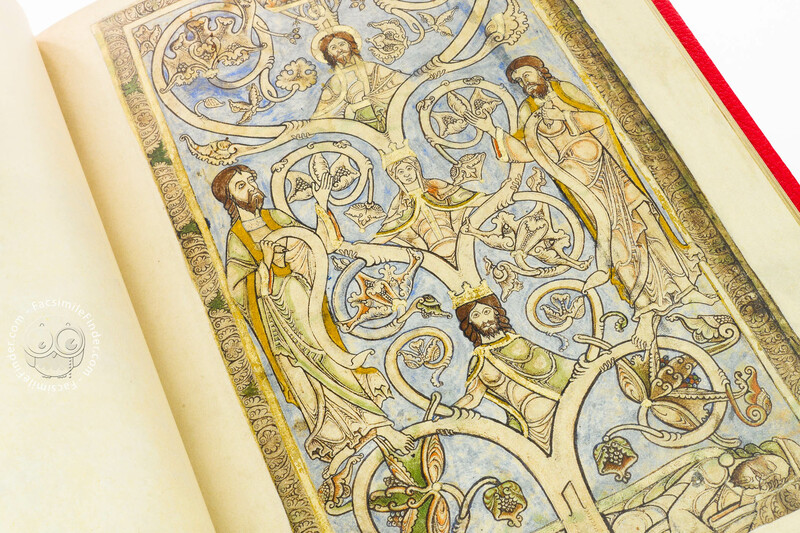 The most likely patron of this manuscript was Henry of Blois, Grandson of William the Conqueror. Henry of Blois was a monk at Cluny and between 1129 and 1171 Bishop of Winchester. 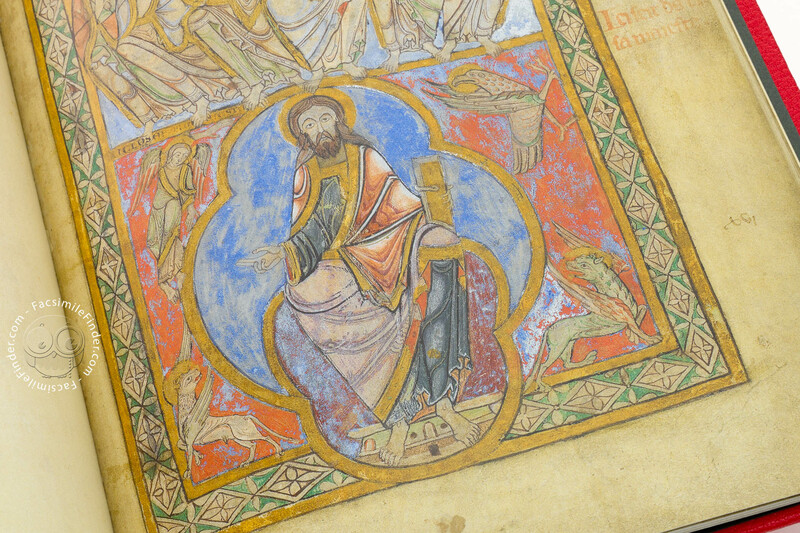 A collector with a strong passion for the arts, Henry of Blois might have ordered this psalter for his use. 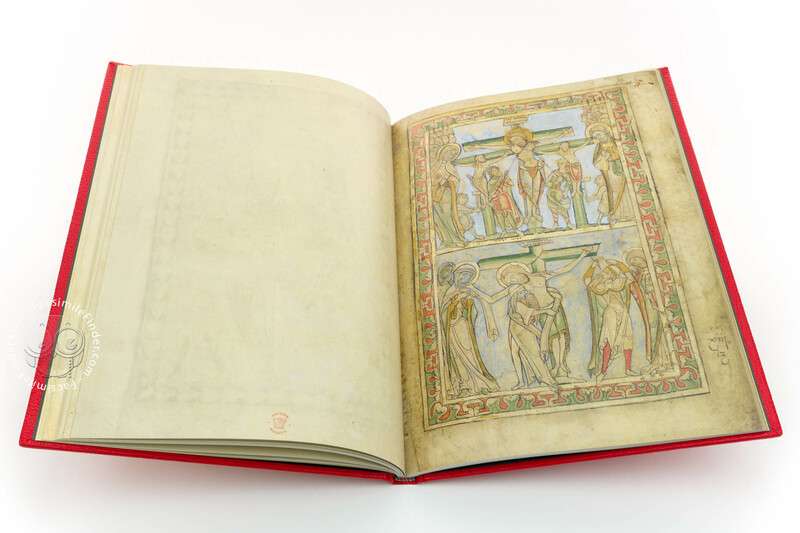 From Winchester, the manuscript was brought to the Benedictine nunnery of Mary and St. Edward at Shaftesbury, where the Anglo-Saxon captions were added in the thirteenth century. 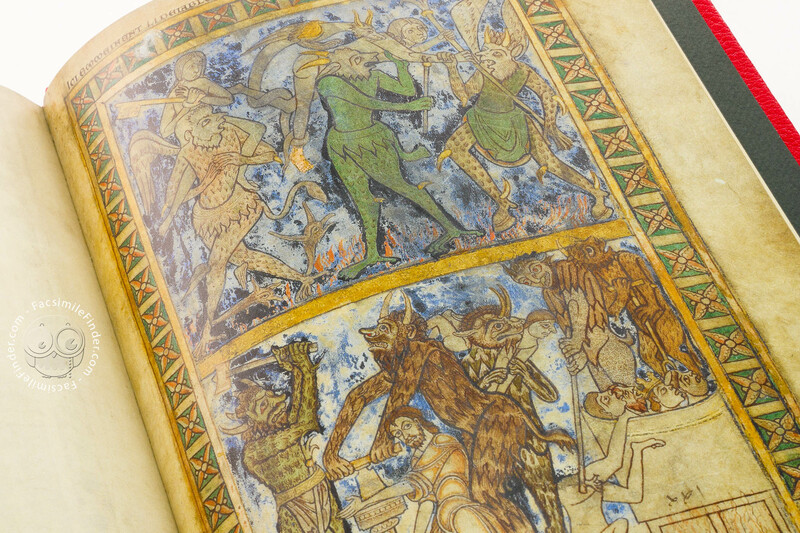 By the twelfth century, when the Winchester Psalter was made, the Anglo-Saxon tradition of decorated Psalters included a pictorial decoration in which the images deployed the moral message of the text. 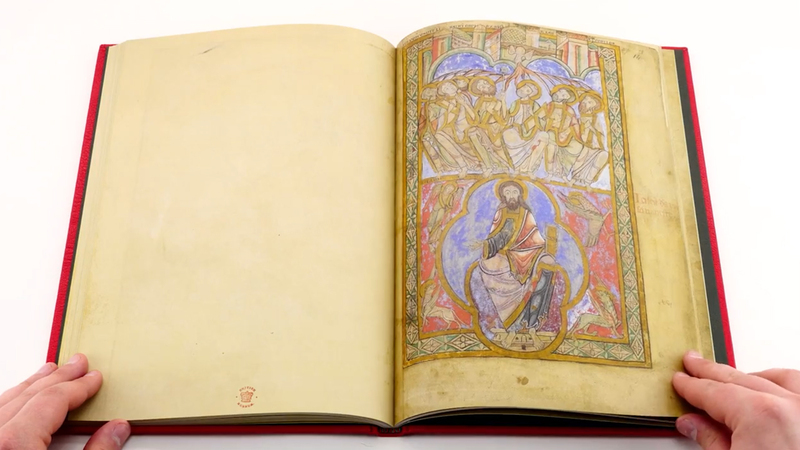 The extraordinary illuminated cycle of the Winchester Psalter represents a climax of the Anglo-Saxon painted Psalters. 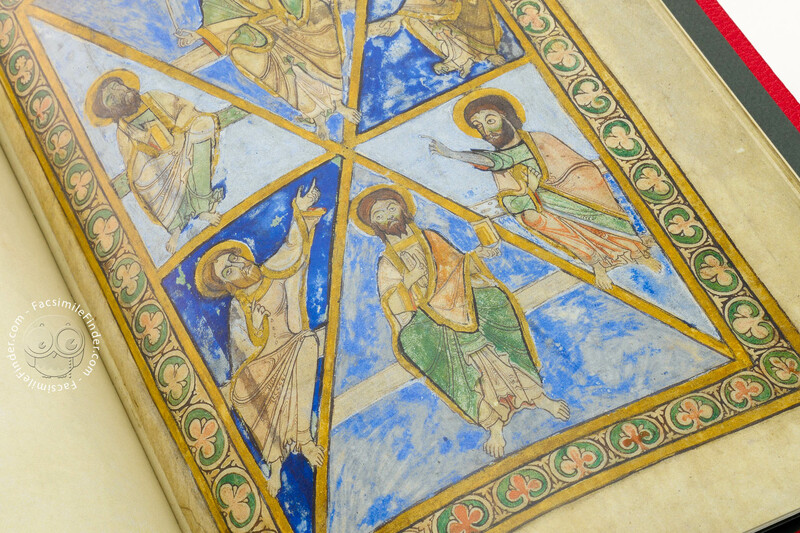 Work of an illuminator associated with the scriptorium of Bury St. Edmunds, the miniatures guide the reader to salvation displaying models of good and evil, the consequent reward and punishment. The miniature of the Kiss of Judas (fol. 21r) characterizes the soldiers as monsters with large mouths and pointed teeth. The sharp fangs and beak-like noses of these sinister figures recall the depiction of the devil in the scene of The three Temptations (fol. 18r). The struggle between good and evil culminates in the last nine miniatures of the cycle representing the Revelation. 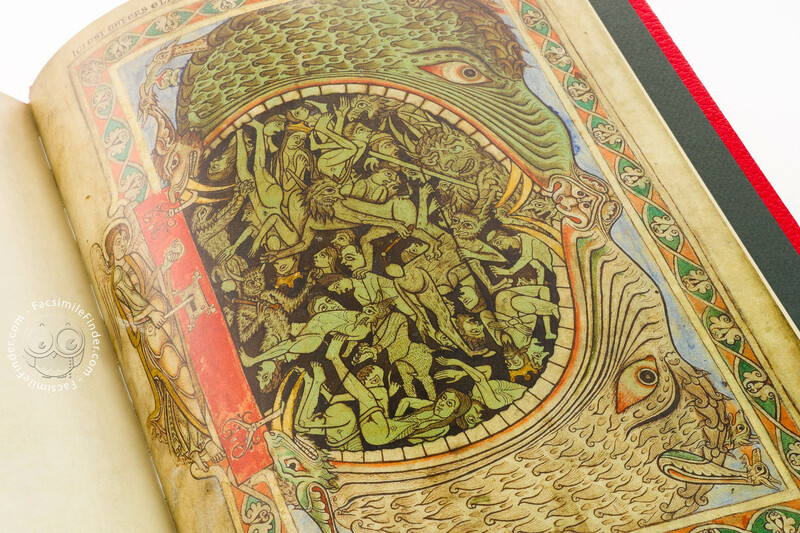 The famous last miniature depicts an angel locking the door of Hell (fol. 39r). The dramatic representation of Hell emphasizes the horror of damnation by showing the broken bodies of the damned, tortured by grinning demons, twisting and floating in a dark space. 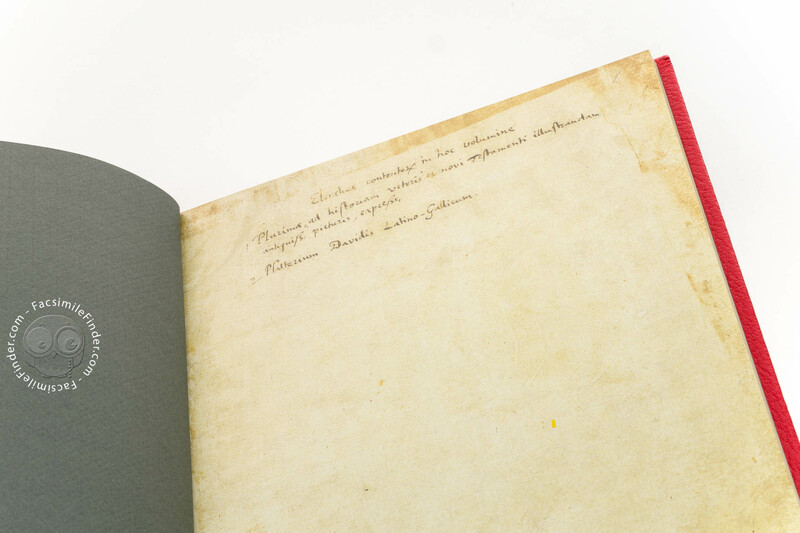 Manuscript book on parchment − 32 × 23 cm − 284 pp. 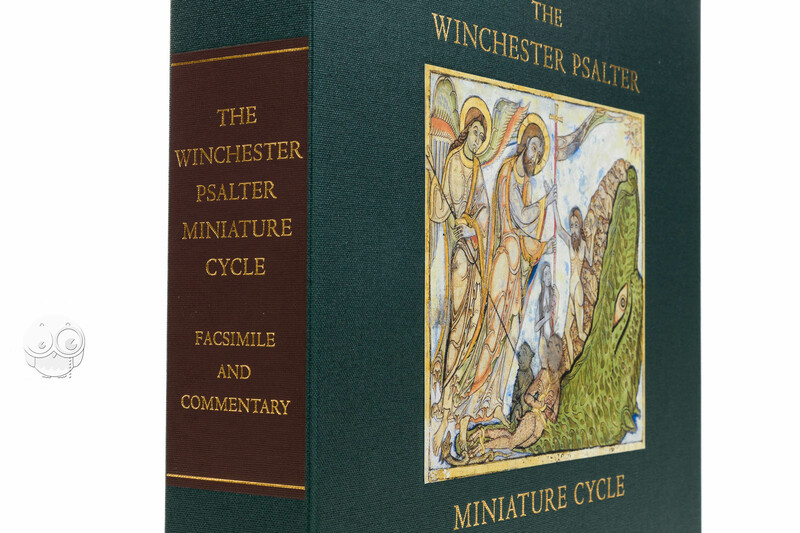 This is a partial facsimile of the original document, Winchester Psalter: the facsimile might represent only a part, or doesn't attempt to replicate the format, or doesn't imitate the look-and-feel of the original document. 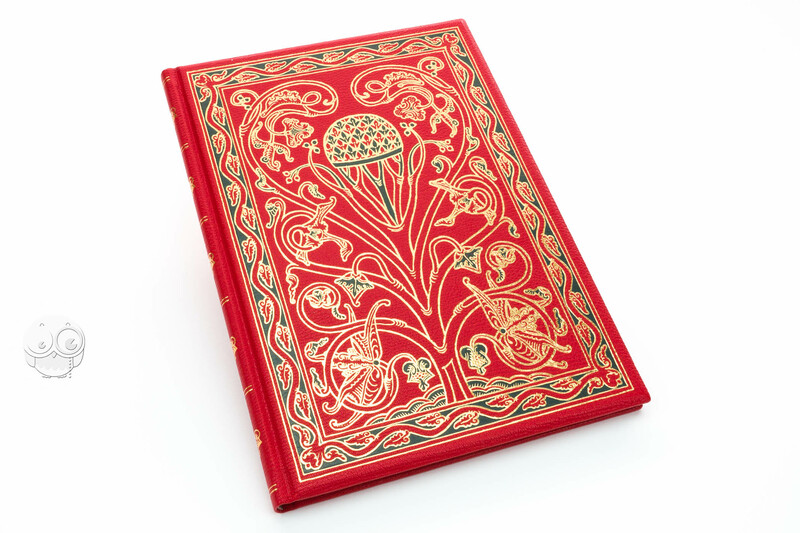 The facsimile edition reproduces only ff. 1-39 of the original document. Indian Goatskin, blocked with 2-color designed by Joe McLaren, gilded top edge.